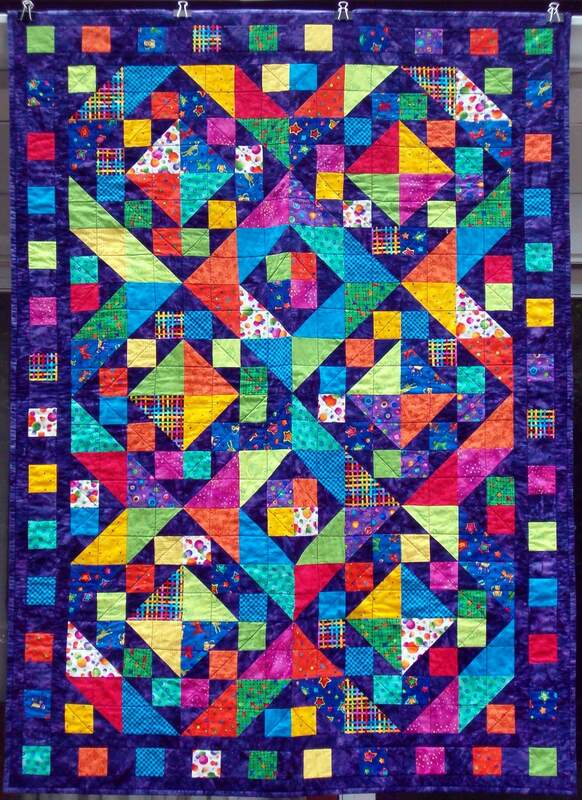 Posted by Pam in KC in baby quilt, Bright Tossed 9-Patch, goals. 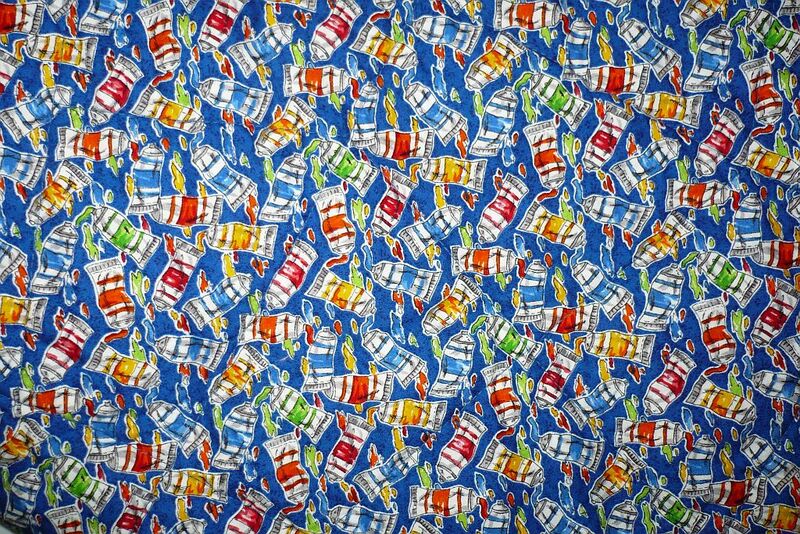 This is my Bright Tossed 9-Patch. It was a UFO from 2008. 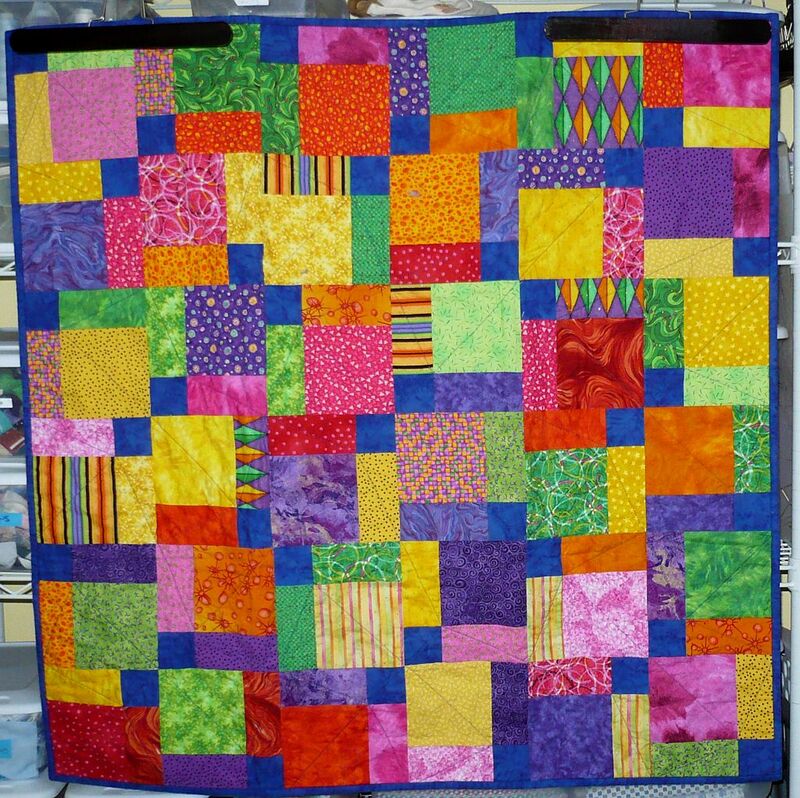 This quilt is “related” to at least 3 other quilts. 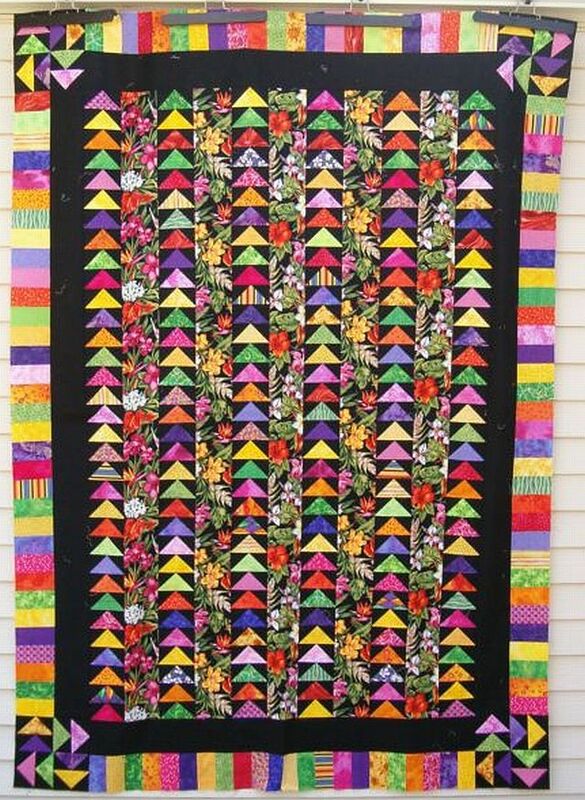 The bright fabric was also used in my “No Blue Geese in my Tropical Garden” and some were used in a pair of quilts I made for my niece’s twins. 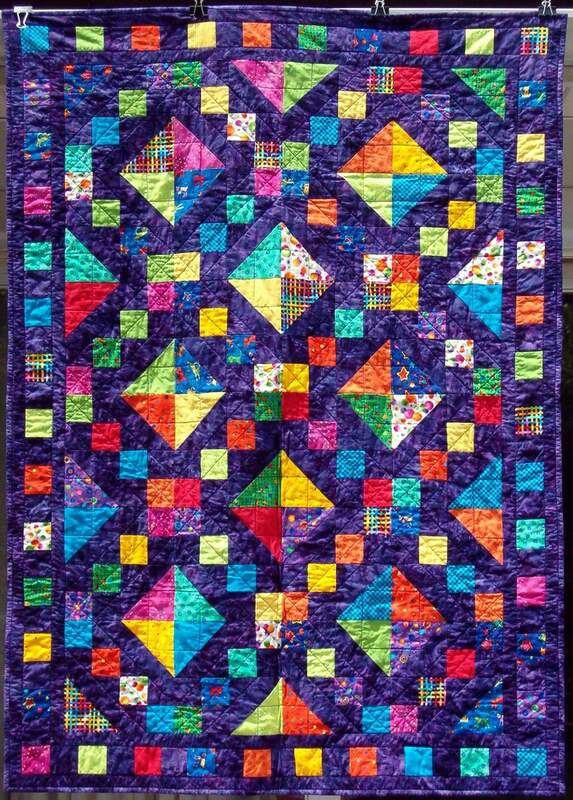 The binding and blue squares where from another quilt — although at the moment I can’t remember now which one. I love this backing. Isn’t it fun? I started off the year needing to finish at least 3 baby quilts and I wanted to use one from my stash of baby quilt tops. This was the 3rd quilt, so I can cross that goal off my list. Love the colors! Just so cheery!